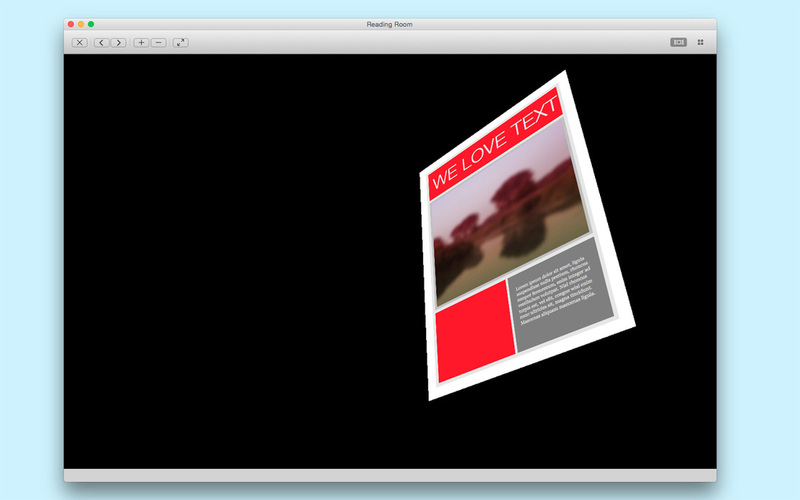 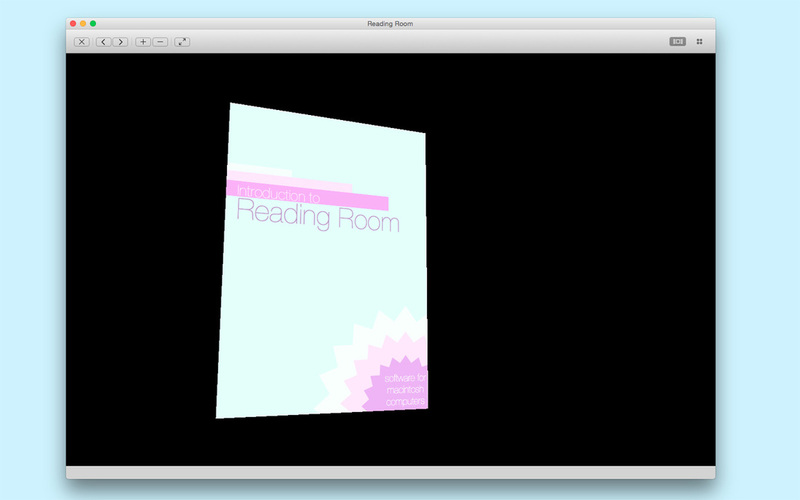 Reading Room is an innovative 3D PDF reader helping you to focus on the process of reading, not of managing the viewer app. 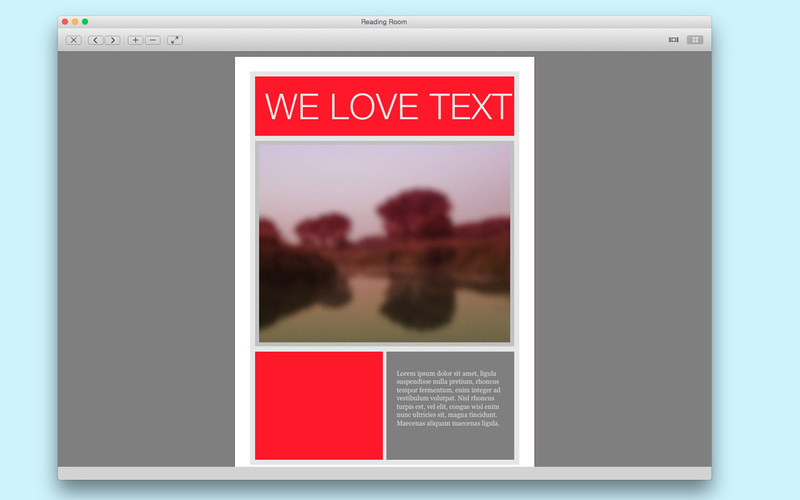 With its unique control features, Reading Room lets you browse through the pages of your documents as if the were real, physical pages - you can zoom, tilt, move and flip between the pages by simply using click, drag and right-click drag gestures. 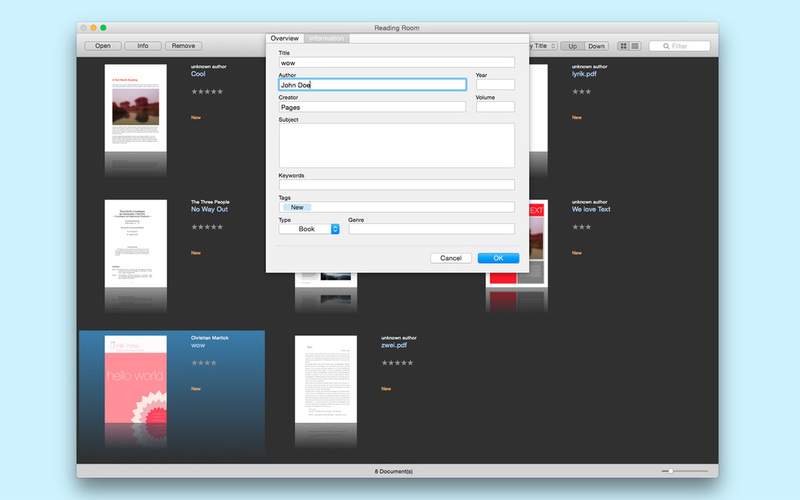 In addition to the groundbreaking reading feature, Reading Room comes with a library feature to manage your different PDFs. 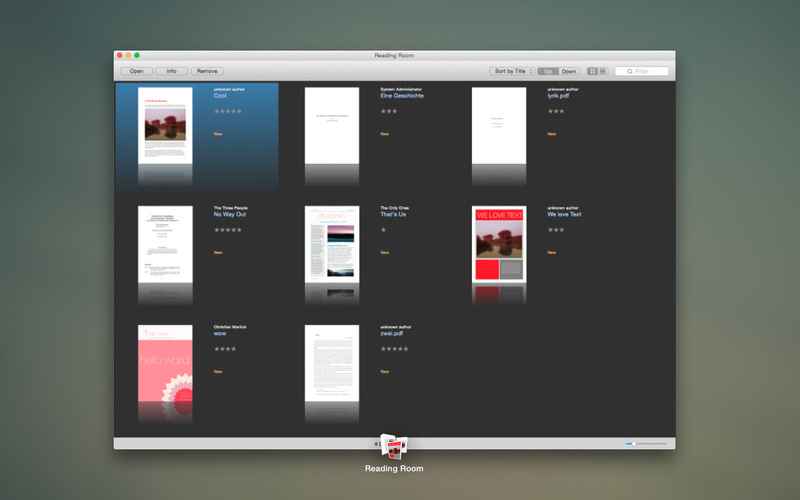 Reading Room is available on the Mac App Store for 2.99!